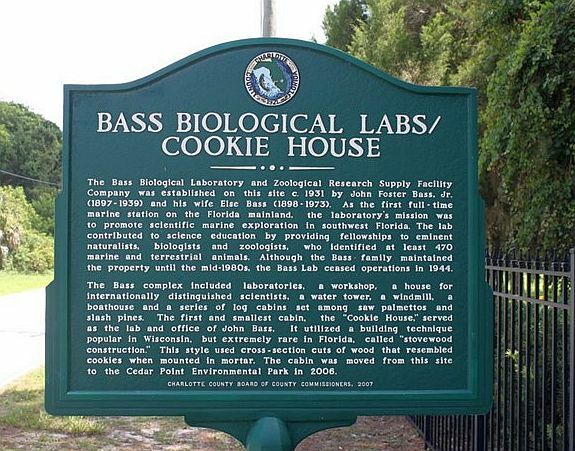 The Florida Cookie House was built in 1931 by John Bass, Jr. for the Biological Laboratory and Zoological Research Supply Company. 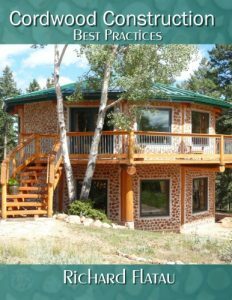 The informational sign (below) tells of the immigrants to Wisconsin who built these kind of structures. 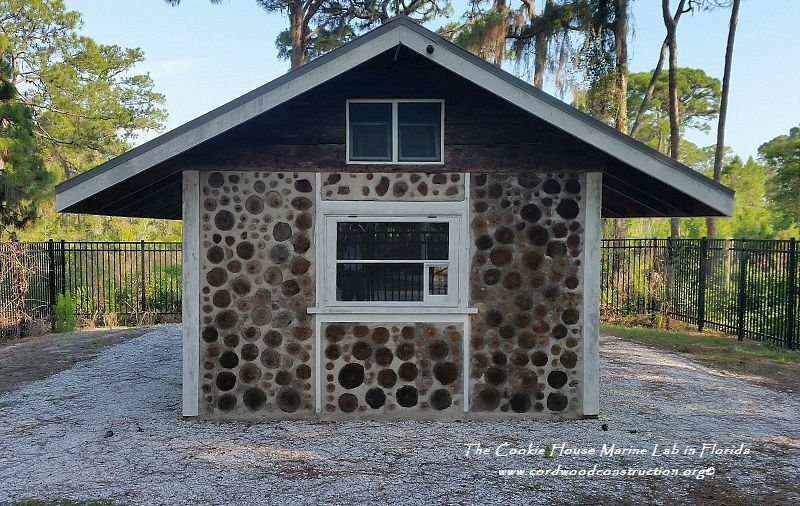 It’s called the Cookie House because the white mortar with the brown, round log faces resemble a cookie on a plate. 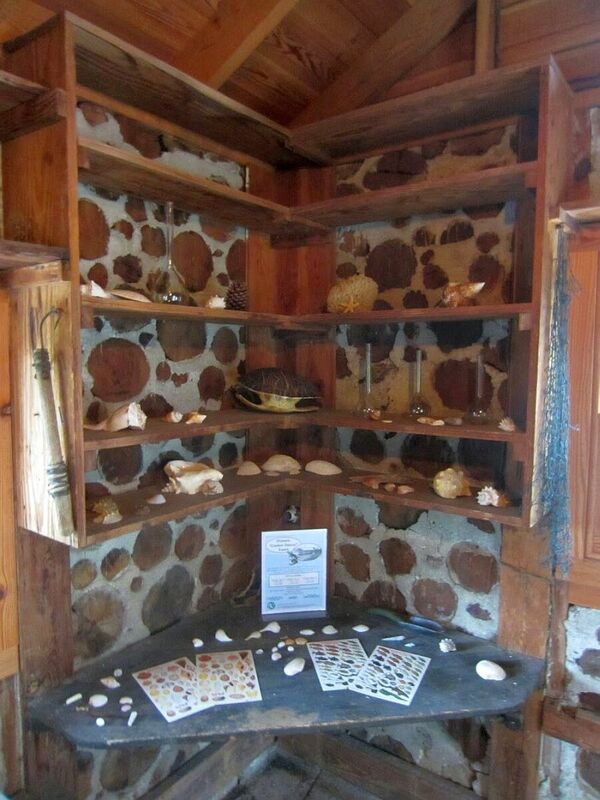 Known as “stovewood” or “stackwall” there is a Stovewood home and chicken coop at Old World Wisconsin. 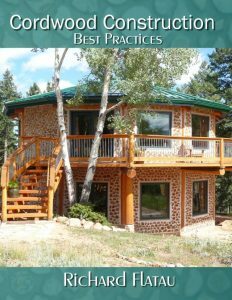 It’s purpose is to preserve the history of cordwood in the Badger State. 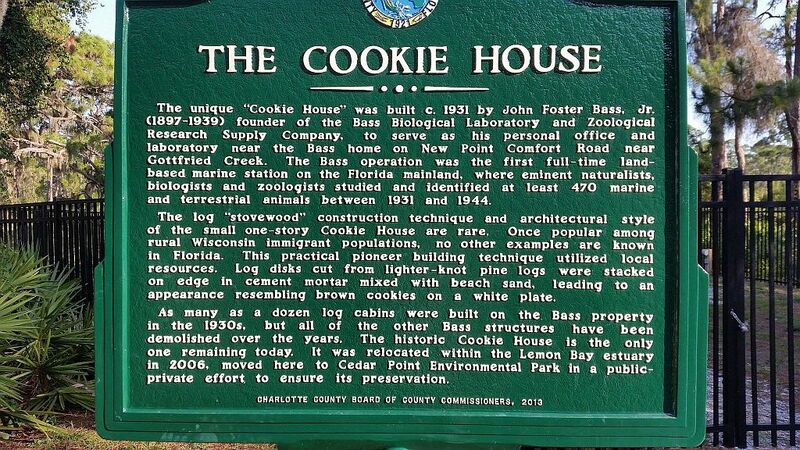 Below, the Cookie House under renovation. 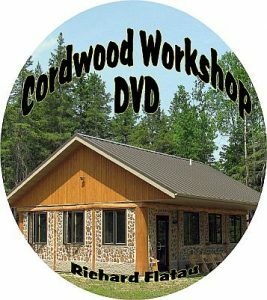 How the new sign looks today. 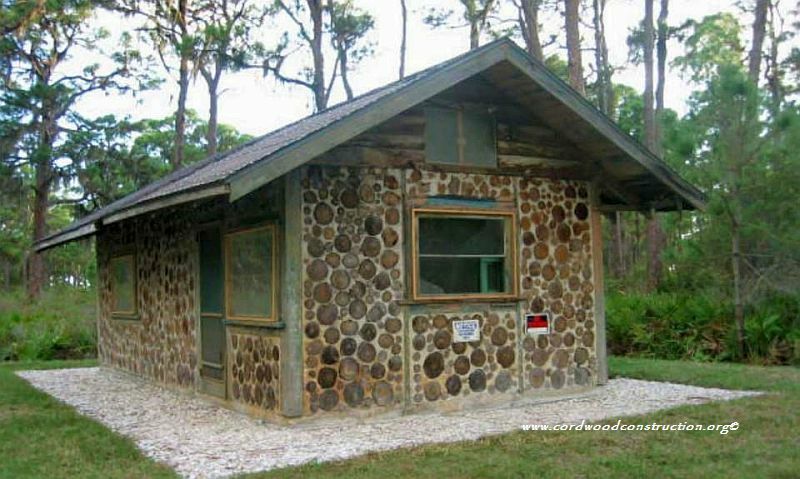 More cordwood in Florida. 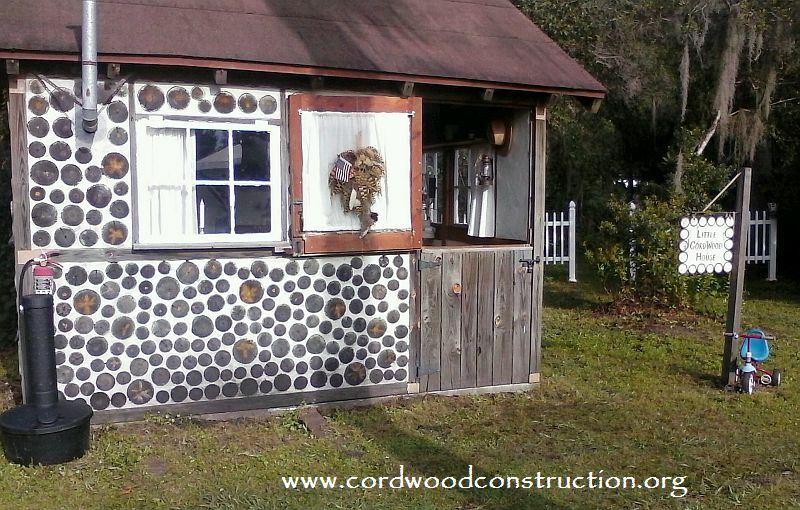 Below is the Little Cordwood House at the Flywheeler Swap Meet. 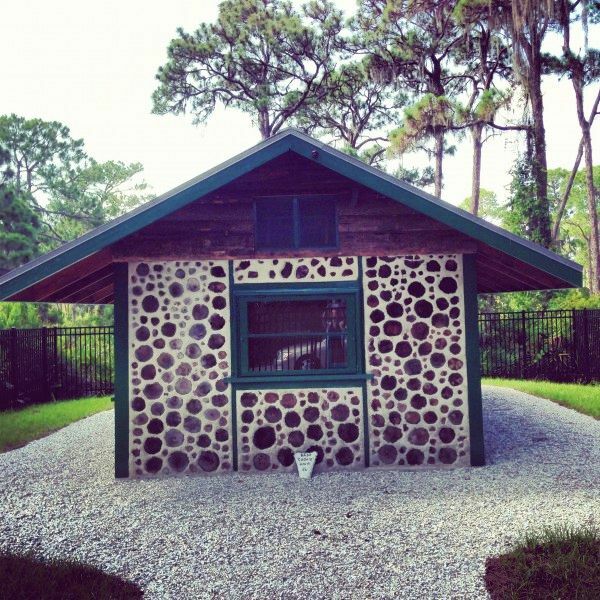 This is part of an Historical Village in Fort Meade, Florida.